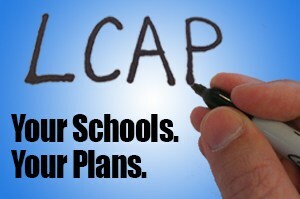 The LCAP is a critical part of California's new funding system for school districts all across the state. Each school district must engage parents, educators, employees and the community to develop a 3-year plan that best serves the needs of students in Livingston. The plan will identify the district's annual goals for all students and for each subgroup in regards to eight state priorities, as well as the plans for implementing actions to achieve those goals. 1 | Basic Services - Providing all students access to fully credentialed teachers, instructional materials that align with state standards and safe facilities. In addition to these eight areas, the district may also identify goals related to its own local priorities, and incorporate them into the LCAP. The initial plan will cover three years, but must be updated annually by the district by July 1 of each following year. The district has established an advisory committee made up of parents, community members, teachers, classified staff, early education staff and administrators. Stakeholder advisory meetings are conducted throughout the year to gather information and receive input that will guide the District's development of priorities for the LCAP. Based on the input of all stakeholders, the district develops its plan customized to address the needs of our students including English learners, low-income and foster youth students. Click below to view the district's current Local Control & Accountability Plan. If you would like a printed copy of the LCAP, please contact Maria Torres-Perez at (209) 394-5430 or mtorresp@livingstonusd.org.